I'm spending as much time as I can just absolutely chilling out in the back garden. While the two oldest were at summer day camp this week, the baby ran around spraying the hose at me in our back garden. Until it came time for a limeade break... and then, he froze in his steps, tasted his first sip and immediately asked for more. It was that refreshing-- enough to make a one year old drop the joy of a garden hose on a 90+ degree day. Make a simple syrup by boiling two cups of water with one cup of sugar. Stirring occasionally, allow it to roll over high heat until well combined and reduced a bit. About 15 minutes. Set aside and allow to cool. 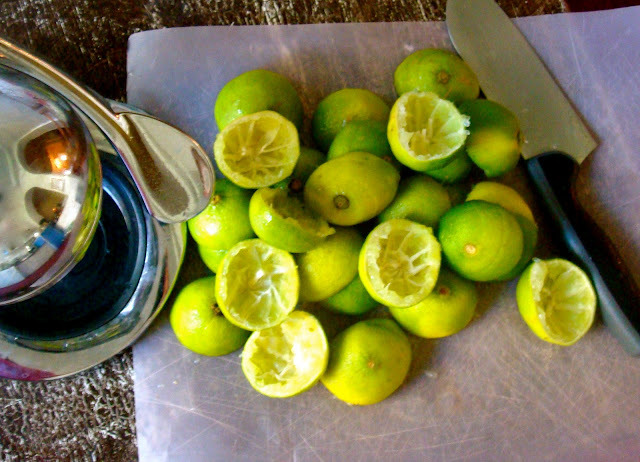 Juice 15 limes and add the juice to a large pitcher. 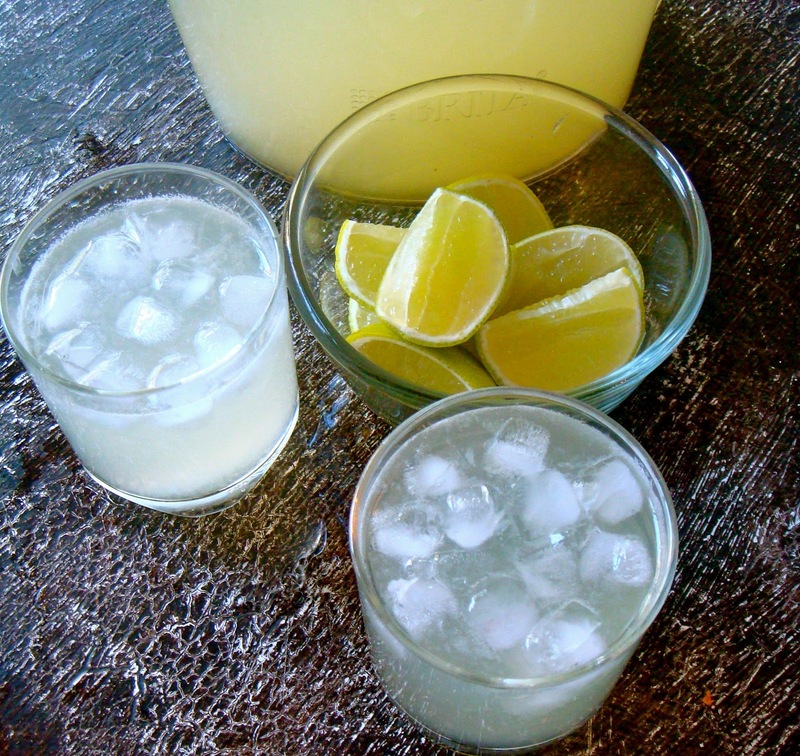 Fill the pitcher with ice cubes, the simple syrup and top with filtered water. Pour into glasses with more ice. Sip, sip, sip.